The Market House built in 1832 on the site of the 1788 State House, which was destroyed in the Great Fire of 1831. At the State House, North Carolina ratified the US Constitution, chartered UNC, and ceded her western lands to form the State of Tennessee. 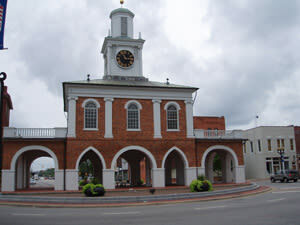 Architecturally unique, the Market House is the only National Landmark in Cumberland County. Historically meat and produce and other goods were sold beneath, while the second floor was utilized as the town hall. Occasionally slaves were sold at Market Square and the vast majority of these sales were as a result of indebtedness or estate liquidation. During the Civil War, a skirmish took place around the Market House involving Confederate Hampton's and Union General Sherman's troops. 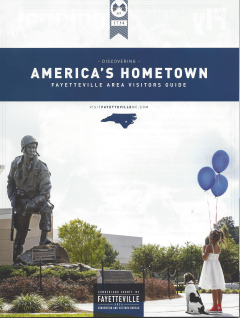 After the Civil War, the Market House remained an important part of the civic and economic life of Fayetteville, functioning as an open market into the 20th century. 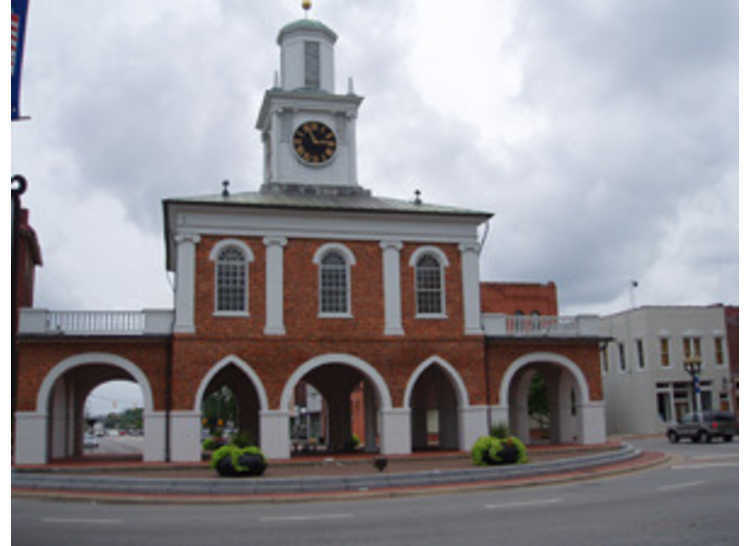 Today, the Market House is one of the 40 National Landmarks in North Carolina. The upstairs room still serves as meeting space. Located at the intersection of Hay, Gillespie, Person and Green Streets. 910-483-2073.